The hearing begins and a few words and papers are exchanged between the judge and the lawyers representing each side. Within minutes, it is all over. Claimants and defendants are quickly ushered out of the courtroom as their respective lawyers whisper a roughly translated version of the judge’s ruling. Moments later, the next case begins. Welcome to Dubai’s Property Court, a division of the emirate’s legal system that has been dealing with the fallout of its property crisis since September 2008. As case files spill out of a room one floor down from the court, officials decline to reveal how many property disputes are under way or pending. A clerk in charge of registering cases hints that the figure may be in the “thousands”. Just a few months after it opened in 2008, the Property Court had a mammoth challenge on its hands after the property downturn. Ron Oakeley is more than familiar with the Property Court, and the huge investment of money and time that come with a lawsuit. The British businessman, who has been in Dubai since 1985, is about to attend his 15th hearing in a case filed more than a year ago against Alternative Capital Investment (ACI), a German developer. Mr Oakeley is trying to recover more than Dh1.2 million (US$327,000) he spent on two offices at ACI’s long-delayed Niki Lauda Twin Towers, one of a trio of projects launched in late 2007. His efforts, in part, paid off in February when the court rendered his agreement with ACI for one of the units “void” and ordered the company to repay him Dh569,585, plus 5 per cent interest from the date he started proceedings. The court ruled for Mr Oakeley because ACI had failed to register the property with Dubai’s Land Department, according to court documents. A property contract is valid only when it is registered with the department. But Mr Oakeley lost the case for the second unit, which cost Dh695,000, because the court found that the property had been registered, although it has since emerged it was under somebody else’s name. ACI was quick to appeal the decision on the first unit. At yesterday’s hearing, the court decided to appoint an official to check on construction progress at the site, which appears to be at a standstill. If there is still no conclusion at the next hearing, scheduled for June 23, then the case could go to the Court of Cassation, the final stage in the judicial process. Mr Oakeley is one of dozens of investors with suits against ACI. He says it has so far cost Dh400,000, including fees and the cost of lawyers. But with the project showing little sign of progressing, he says he has no choice but to fight on. “It’s the principle … most people can’t afford to keep fighting,” he says. “Unlike elsewhere in the world, you’ve got to spend so much more money to get your rights. Robin Lohmann, the chief executive of ACI, was unavailable for comment in the past two days. Property disputes are generally filtered through the Dubai Land Department, where the department’s legal team tried to resolve them before they reach a courtroom. While there is a surge in the number of investors turning to the department after the financial crisis, fewer people are approaching it today, says Mohammed Sultan Thani, the assistant director general of the Land Department. Since the Property Court is costly, it has mainly been used by major investors such as Mr Oakeley, who have the funds to pursue a case. It costs Dh30,000 to register each case with the court, so if an investor has bought 10 apartments from one developer, simply lodging the dispute will cost Dh300,000. As well, all cases require a local lawyer, who will charge a commission of up to 5 per cent of what the client is claiming. The proceedings are in Arabic so a claimant would have to pay for the translation of court documents as required. “For an investor contemplating filing a legal case against a developer, it is advisable to first seek consultation with a lawyer who can advise whether filing a case makes sense based on the circumstances,” says Ludmila Yamalova, a partner at Al Sayyah Advocates and Legal Consultants. Some cases have been settled out of court, Ms Yamalova adds, with developers agreeing to reimburse claimants in instalments. With just four judges at the Property Court, cases can be long. But more than 18 months after it was established, steps are being taken to refine the system, says Dr Alsumaiti – a move that will likely boost confidence among investors. Abdul Qader Moosa, Chief Justice, Property Court, has said rights of real estate investors in Dubai are reserved under the laws enforced in the emirate. He said Dubai has a specialised property court and advanced laws that go along with real estate developments and protect the rights of all parties of projects – investors, developers and contractors. Moosa told Emirates Business that Property Court judgments are more accurate and faster than those in many other Arab countries. This year the time a case takes at the Property Court of First Instance has gone down to 45 days from 57 in 2008. Meanwhile, the time a case takes in the full [appeals] court has risen to 90 days in 2009 from 80 days last year because of the increase in the number of cases this year. It is a very short time in comparison with the years cases take in any other Arab country, he said. A year has elapsed since the establishment of the Property Court. What are the court’s missions and achievements? The court was established on June 15, 2008, by order of His Highness Sheikh Mohammed bin Rashid Al Maktoum, Vice-President and Prime Minister of the UAE and Ruler of Dubai. It was part of the establishment of several specialised courts with an economic nature. Sheikh Mohammed believed the economic activity and progress of Dubai required the establishment of such courts, which aimed at fast and cordial settlement of financial and economic disputes. Three specialised courts were set up: commercial, civil and real estate. Now Dubai has six specialised courts of first instance, which also include the civil status, labour and criminal, in addition to the previously mentioned courts. The emirate’s court system had to be updated to go along with the development taking place at the economic level in terms of the volume of projects as well as the growing number of workers and employees. Real estate cases are those related to disputes emerging from acts or transactions related to property or brokerage, except for rent cases that are exclusively handled by Dubai Municipality’s Rent Committee. The partial [first instance] real estate cases cover disputes whose values do not exceed Dh100,000. Such cases are heard by a court presided over by one judge. Meanwhile, full [appeals] cases are concerned for disputes with a value of more than Dh100,000. They are heard by an appeals court with three judges. And, like other judicial disputes, each real estate dispute case is allowed three litigation degrees (first instance, appeals and cassation). Only cases with a value of no less than Dh200,000 can be heard by the Court of Cassation. 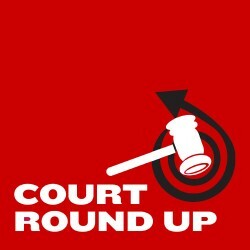 What are the most recurrent real estate cases heard by the Property Court? The court hears various types of cases, such as those related to demands of contract termination, contract validation, writing and handover of contracts, in addition to brokerage cases. For instance, in contract termination cases, one party asks for the termination of a contract on the basis that the second party has failed to abide by the contract’s conditions. A buyer might ask for contract termination for failure by the developer to abide by conditions such as the completion of the project as scheduled. And, if proved, the court has to order the termination of the contract and the return of instalments paid, plus the proper compensation. What about the size of cases heard by the Property Court, the litigation time and the percentage of completion? The Property Court of First Instance received some 12 cases in the last six months of 2008. Judgments were given in five cases. Hearings usually took three months. In the first six months of 2009 the court has received 50 cases, and 43 were decided. Hearings are still on in the remaining seven cases. The appeals Property Court heard 137 cases during the last six months of 2008. Twenty were decided while the rest were deferred to the 2009 judicial season. Each case took three months. Meanwhile, in the first six months of this year, the court registered 883 new cases, giving a verdict in 168 over a period of three months. What are the judicial departments affiliated to the Property Court? The court has five judicial departments, including three full [appeals] departments, one partial [first instance] and one for the enforcement of judgments. The latter is presided over by a judge who enforces the judgments issued by notifying the parties concerned to act within 15 days or face legal measures such as seizing of bank accounts, property, cars or even stocks. In the light of the relatively short age of the court, how useful is the Property Court for the real estate sector of Dubai? The presence of specialised courts in any country helps boost the confidence of those dealing with the subject they speacialise in. And the reality is that the real estate sector has acquired a large percentage of the emirate’s economic activity. 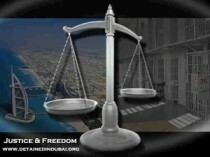 The presence of a specialised real estate court working according to the principles of “justice for all” and adopting accuracy and speed in the settlement of disputes contribute to making Dubai an important attraction for investors in the region’s real estate. How has the real estate crisis reflected on the cases heard and the types of disputes? For a start, one has to stress that the volume of cases heard does not reflect the developments under way in the real estate sector, since the court is relatively new. This is also because of the presence of other specialised bodies and institutions, such as the Land Department, the Real Estate Regulatory Agency, the Contractors Association and others. And with the start of the real estate crisis, we noticed a state of fear as investors were concerned about the money they injected in property. The launch of the court coincided with the start of the financial crisis late last year, and we used to receive many queries from investors. We were surprised with the many cases of contract termination with developers by investors who fear that projects may not start. In fact we used to reassure buyers that there was an escrow account in which went all the money paid by the buyer. We reassured them that there was no fear their rights would be lost. That period witnessed many contract termination cases for failing to pay instalments. However, the number of such cases was very small compared to the volume of the emirate’s real estate projects. What are the challenges facing Dubai’s real estate sector now? In the light of the volume of projects completed, as well as those under way, I believe the biggest challenge is the simultaneous development and updating of laws that regulate the sector to go along with the developments. And in the absence of co-ordination and co-operation between us and the Land Department and Rera, both strategic partners, we work to update our legislations and laws to suit the sector’s needs. Also, as a property court, we have made a strategy that aims to expedite and facilitate litigation, reactivate partnerships with the bodies concerned, and to pass accurate judgments, modernise and develop real estate legislations in the light of the cases we hear. What about the currently enforced laws and legislations? At present we work under a number of laws, legislations and bills, including Bill No85 of 2006 on the real estate broker register, which allows officially recognised brokers to practice. There is also Law No13 of 2008 on the primary real estate register, which regulates the registration of property between the parties, and it is mostly off-plan sales. This is in addition to Law No7 of 2006, which is related to the permanent real estate register and includes the registration of property after it is completed. There is the Property Registration Law No3 of 2006, which defines areas where non-UAE nationals can own property, and Law No8 of 2007, which obliges developers to open an escrow account for each project and where investors’ money is deposited. Each project has a separate account, and it is not allowed to seize another project’s account to collect debts due on the developer. What advice would you give to real estate investors? Before buying property, an investor has to make sure that the developer, broker and the project where he intends to buy, are registered. Many investors buy from non-registered brokers or developers, or buy property that is not registered with the Land Department. Also, they have to deposit their money in the escrow account of the project, which guarantees their rights in case of any dispute. They need to be aware of the laws that regulate the real estate sector and which are available on the website of the Property Court and the Rera. Abdul Qader Moosa holds a bachelor’s degree in law and the police sciences diploma from Dubai Police Academy. He graduated from the Police Academy in 1994 and served as Chairman of the Lawyers’ Committee. He obtained a diploma from Dubai Judicial Institute in 1998. He was appointed deputy public prosecutor in 1995 and public prosecutor in 1998. In 1999, he became a judge in the Court of First Instance. In 2005, he was promoted to a judge of the Appeals Court and was appointed the chief judge of the Court of First Instance in May the same year. In September 2006, he became the chief judge of the Labour Court. Moosa has won several awards, including the Distinguished Judge Award under the Dubai Courts Excellence Awards.